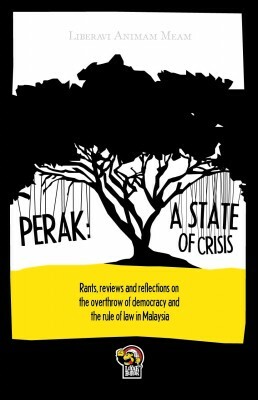 Get your copy of “Perak: A State of Crisis” now! LoyarBurok Publications’ first book “Perak: A State of Crisis” is available now! For those of you who missed yesterday’s book launch event, “Remember, Review & Reclaim” or came late and had to be turned away because it was packed to maximum capacity, here’s how you can order the book. 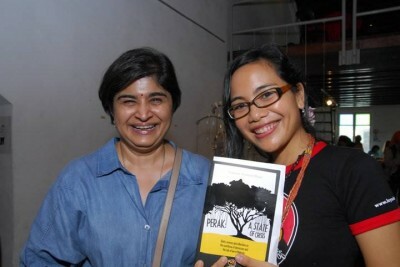 BERSIH 2.0 Chairperson and former Bar Council President, Ambiga Sreenevasan with her copy of the book. On her right is June Rubis. For delivery outside of Malaysia, please email us for exact price. Forward your Maybank2U statement or scan your bank-in slip and email to [email protected] with the words “Perak Book” in the subject line. Once you’ve completed your order, LoyarBurok will despatch the book to you by Poslaju. The Rakyat’s Perak MB, Nizar Jamaluddin at the book launch that packed the venue (Annexe Gallery) to maximum capacity. 7 Responses to Get your copy of “Perak: A State of Crisis” now! It is really realistic to hear how a history should be documented as it happens from the title given but again it is very sad to see many of earlier period of malaya was not being exposed as what it need to be. For an example, in my early study on Malaya history, invasion by external powers on peninsular were very long before the entry by Arab and Parsian traders. Now, the way of the history briefed to students at current education system looks deviating from it's originality. In oversea, history being unlock into the most depth without counting the border of any segment, so that the truth being brought out for public to understand on the actual formation of any city or nation. Let us see and judge ourseive on the earlier civilisation near Gunung Jerai in Kedah. Historian knows that there are many Hindu and Buddhist findings unearth but the findings being neglected for it's valuable evidence. In fact, to reveal the truth is a basic in history. We not only lacking in accepting how to preserve the important findings and the same time try not reveal the truth. As one of the oldest historical spot in the country, the relevant agencies need to understand how the history was made and how it should be brought back where it can be a trustworthy tourism spot. The empire in Gunung Jerai contributed many more unearth findings but, concern authority must play a transparent role to transform Gunung Jerai as one of world's must visit spot mixed with rich treasures from Hindu and Buddhist empire which contribute a lot to local communities civilisation. Hope more of these findings will be displayed for the present and next generations views as proof at the museum. Thanks to all for allowing me to drop some views. Thank you for your kind words and interest in the book. We have listed the case citations in the book and you will be able to read the law journals (as an good law student should) in a law library. In due course, we will compile the cases for this blawg, but don't wait for us! As for our next book project, we are still considering various offers and will take your suggestions into consideration. Thanks. I am currently looking for ALL the judgments related to this constitutional crisis, and I hope Lord Bobo/Edmund can help me to list down ALL of them. I was born too late to witness the Sarawak and Kelantan constitutional crises, and now I wish I could take this opportunity to understand this Perak crisis deeply, if not fully; download and print out ALL (as YB Nizar said: 12 of them – correct me if I am wrong) of the relevant judgments, read it together with "Perak: A State of Crisis", and keep it as a copy of historical evidence for myself, for the people around, and for the younger generation (too far?) – since this is not only a political and legal crisis that is relevant to politicians and lawyers alone, but something relevant to all Malaysians, something that plays a constitutional significance to the legal development; something valuable in the eye of legal and political histories — and we are (mis)fortunate enough to witness it. Can Loyarburok shows us the links to download ALL these judgments (Mword or pdf format)? Thanks for your help. 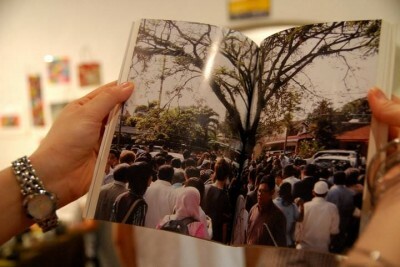 "Perak: A State of Crisis" – It's definitely a book that is worth to read, and worth to keep. Thanks to all contributors for their wise thoughts.